Weston bed and breakfast travel guide for romantic, historic and adventure b&b's. 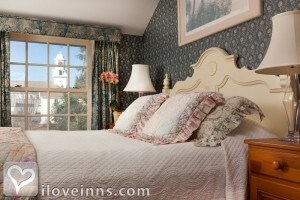 Browse through the iLoveInns.com database of Weston, Vermont bed and breakfasts and country inns to find detailed listings that include room rates, special deals and area activities. You can click on the 'check rates and availability' button to contact the innkeeper. One of the most artistic communities in Vermont is the town of Weston in Windsor County. Start at Weston Historical Society and Museum which contains collections from the Farrar family of 1795 which includes fine pieces of New England furniture, items made of copper, brass, silver, and pewter, china and other forms of potteries, quilts and clothing, glass wares, and significant 19th-century portraits among others. Even the view at the museum is picturesque with the Mill Museum overlooking a waterfall and a mill pond. Stay at any of the Weston bed and breakfasts for that unequaled overnight sleep. Visit the Bandwagon Museum which is home to the unique Concord coach used by the Weston Cornet Band in the late 1900s. By The Inn at Weston.